BluePi consulting was a proud Associate sponsor of Convergence Event 2017. The 25th edition of Convergence India was all about Digital India and Make in India. 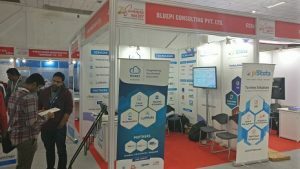 The expo showcased latest trends related to Telecom, Broadcast, Cable and Satellite TV, Cloud & Big Data, IoT, Digital Homes, Mobile Devices, Film and Radio, Content Creation, Management and Delivery, etc. The three-day mega exhibition and conference sessions provided ample networking opportunities to interact with speakers, visitors and delegates. 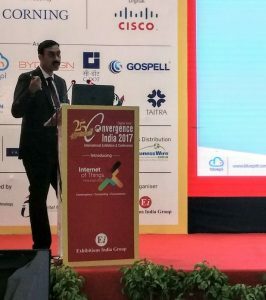 Our founder, Mr. Pronam Chatterjee, was one of the key speakers and sparked a captivating session on, “Why adoption of cloud technology is important in today’s competitive world“. Cloud is no longer about why, we need to migrate to cloud, it is about ‘when’ and ‘how’ soon we can make it happen. Whether it be media, logistics, ecommerce or BFSI, all these industries are witnessing a tectonic shift in the way they do business. The major force underlying all these changes is ‘CLOUD’. What has caused these disruptions? The future will belong to Bots, Augmented Reality and Big Data, and all these technologies work on Cloud. BluePi was also present at booth C234, Hall 11, and witnessed heavy footfall at our booth, in regards to our niche technical work background, solutions and product offerings, including pi-Stats. Our Social Media Campaign, in collaboration with our technology partners, also made a lot of noise on Convergence India’s Social pages and accounts. 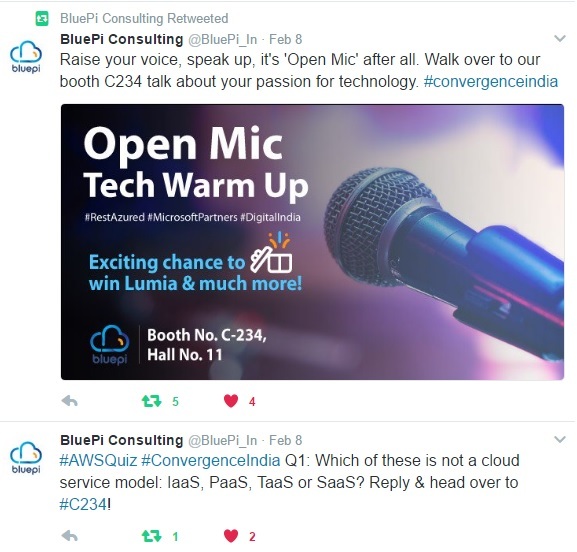 Being Advanced AWS Consulting Partners, and Microsoft Silver Partners, we also had a dedicated section to give away free goodies, for overall participation. 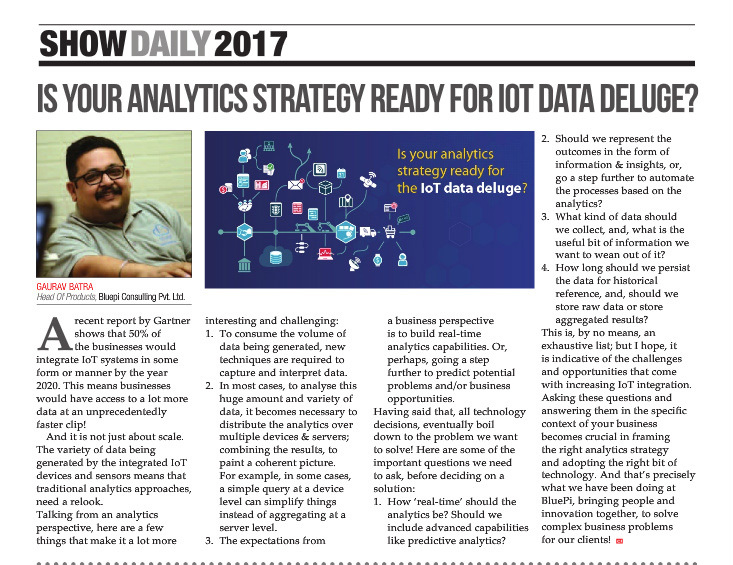 We also got featured in their Showcase Bulletin,” Is your Analytics Strategy ready for IOT Data Deluge”, where we highlight, that in near future we will see a lot of IoT devices, which will result in a lot more data points. It will be up to the companies to decide how they wish to consume the data and do analytics on top of it, to make sense. Overall, we saw a huge turnout in terms of numbers at the conference and it was a huge success, we would also like to thank the organizers for their remarkable effort, to make the event a success, and for their support and coordination as well. If you are looking for something in Big Data and Analytics or want to migrate to cloud, or just want to discuss technology, we will love to hear from you. Say hello at info@bluepiit.com!